Water restrictions have begun in the Dublin area, causing low pressure and loss of supply. Dublin City Council said the restrictions from 8pm to 7am will remain in place until Monday 4 November. 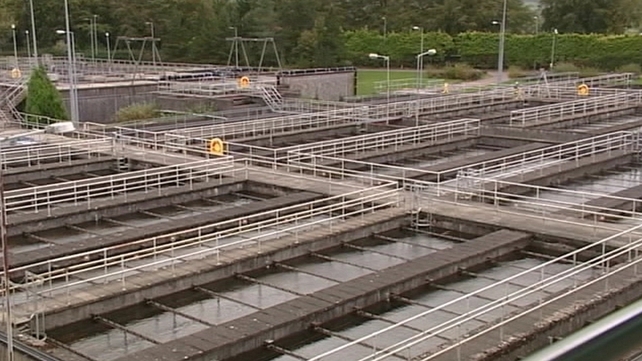 It said the situation has arisen because of a problem at its biggest water treatment plant. Production at the Ballymore Eustace plant has dropped by up to 25%. Council engineers are still investigating the cause, but believe the recent heavy rain has made the reservoir water more difficult to treat at the plant. A council spokesperson said that although the incoming water is still of a satisfactory quality, its constituent characteristics have changed. The issue is not related to the algae problem at another treatment plant at Roundwood, which caused water rationing last March. 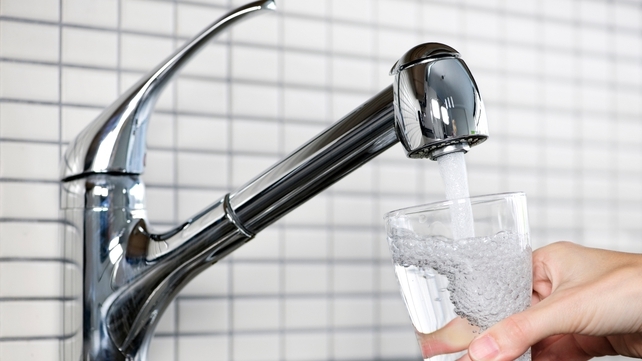 The council said the quality of water being supplied to homes has not been compromised. Speaking on RTÉ’s Morning Ireland, Dublin City Engineer Michael Phillips said: “The characteristics of water change from season to season, they normally operate within a certain band. We haven’t experienced this, in this plant, over the past 20 years. Mr Phillips said people can expect very severe reductions and restrictions to their water supply from 8pm to 7am across the four Dublin local authority areas. He said people will have no water in the cold tap in the kitchen, but they should have 24-hour storage in their tank. “It’s crucial to conserve that water with the minimum use of washing machines, dishwashers, showers and washing your teeth. Please do not leave the tap run,” he said. Taoiseach Enda Kenny earlier said he hoped the restrictions could be sorted soon. He said it was the subject of a brief discussion at Cabinet this morning and he has asked the Secretary General to make contact with Dublin City Council. Minister for Public Expenditure and Reform Brendan Howlin said the current water restrictions will have no bearing on water metering. He said that water metering is part of an overhaul of national water supply. “We’re going to establish the biggest State company since the ESB was established – Irish Water. That will formally come into being on the 1 January, ” Mr Howlin said. “For too long we’ve had a very disparate water supply system in this country, with every local authority being responsible for their own affairs. Fianna Fáil has said Minister for the Environment Phil Hogan must accept some blame over lingering problems with Dublin’s water network. Reacting to the water restrictions, Restaurants Association of Ireland Chief Executive Adrian Cummins described Ireland as a “third-world country”. Speaking on the same programme, Mr Cummins said if the restrictions began later in the evening it would give his members a chance to make money to pay rates to local authorities. He said: “Obviously, they are not going to give us any compensation. They never have and they probably won’t in the future, but this has to stop. The RAI are calling on the restrictions to be implemented at a later time of 9.30pm/10pm to allow restaurants in the evening trade to have any chance of dealing with the shortages. Mr Cummins called for tankers of water to be delivered to the business community. He said a clear strategy should be worked out and there should be more communication from Dublin City Council.